Following the success that K + C have reached this summer with "Muzik" they returns to METAMORPH MUZIK releasing a new installment of KISSING THE FUNK EP, the third, being precise. 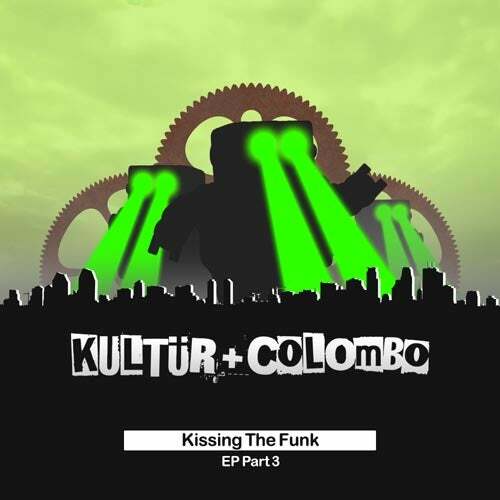 KULTÜR + COLOMBO once again raise the Breaks to the highest, transmitting it in 2 different ways: On the one hand "The Good Times", a track that moves like a train at full speed, sweeping everything with a mixture of new and old, pure culture of club. It is accompanied by "Robotiko", a title which suggest that Elektro-Breaks sounds will invade your ears. Elegantly hypnotic.